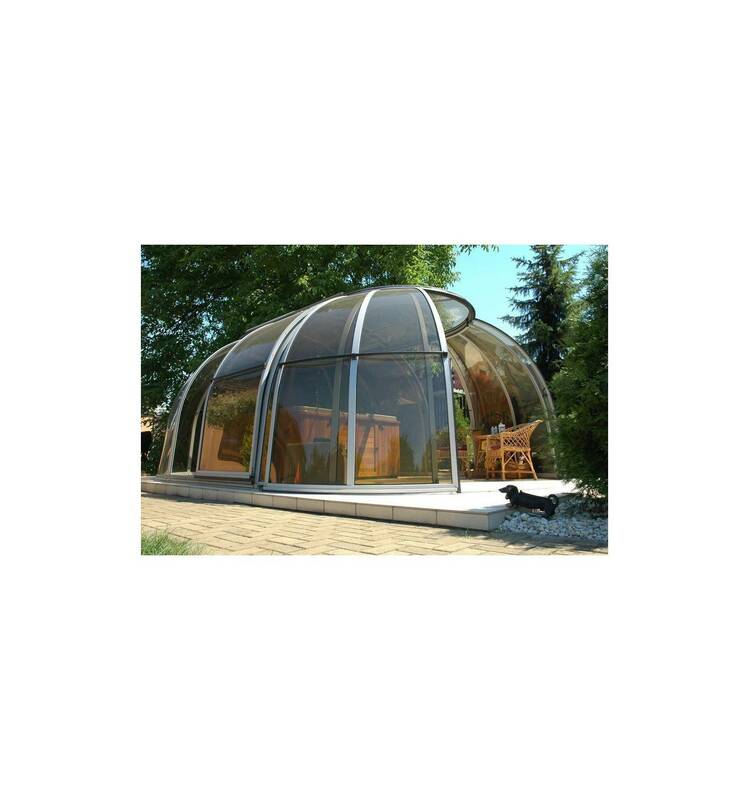 314 000 Kč tax excl. 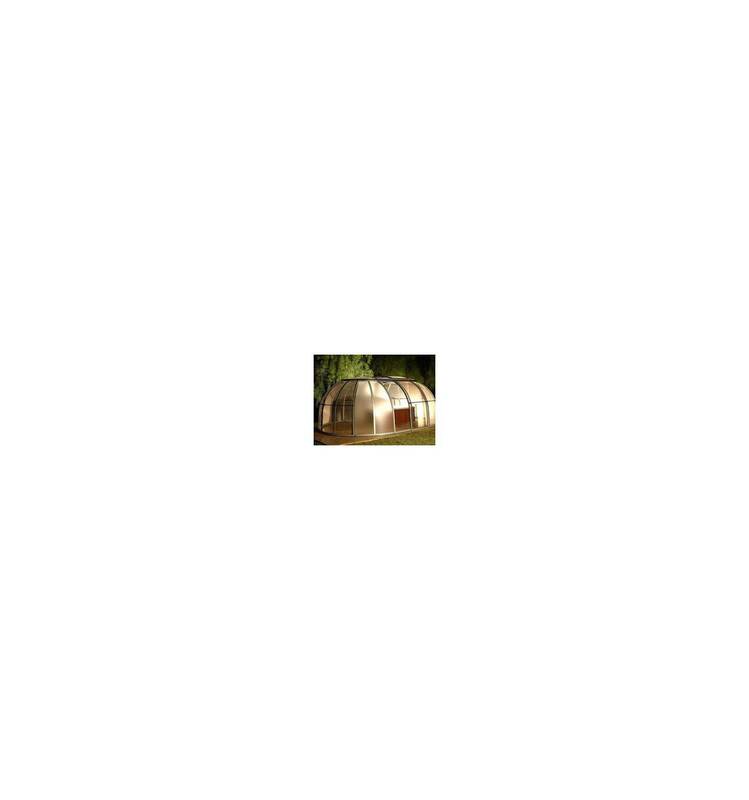 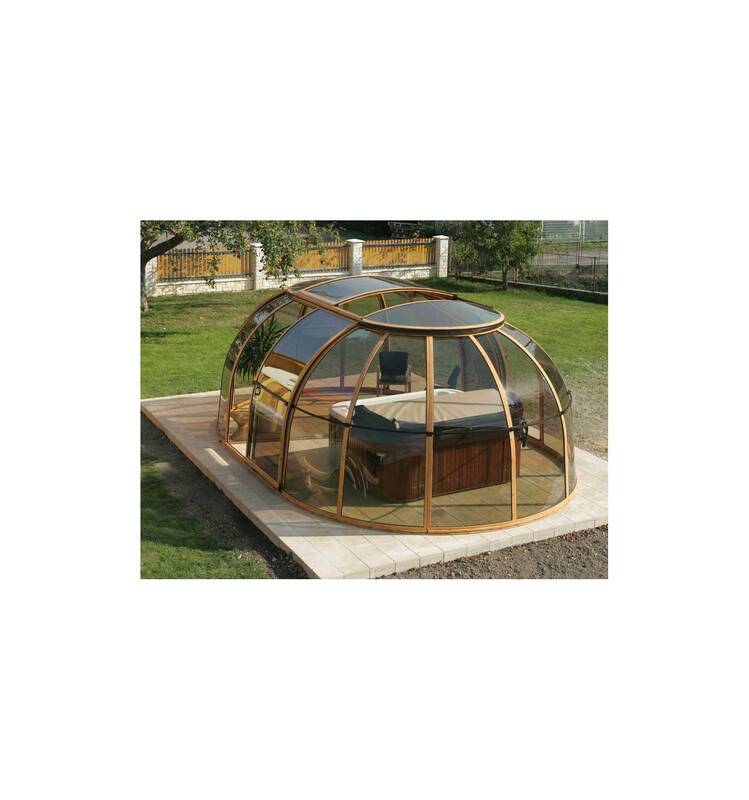 Roofing GRAND SPA SUNHOUSE oval versions of the SPA DOME ORLANDO. 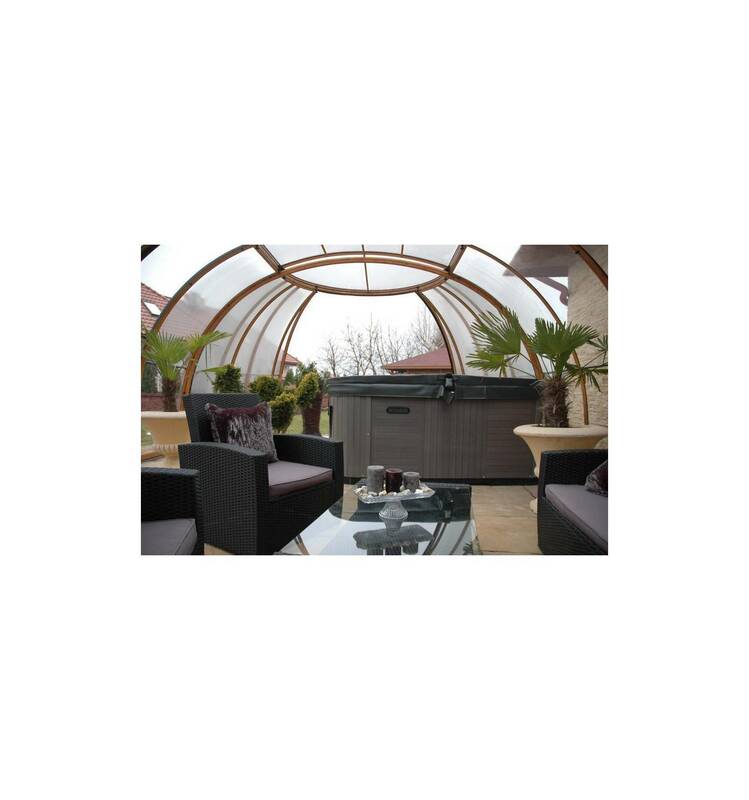 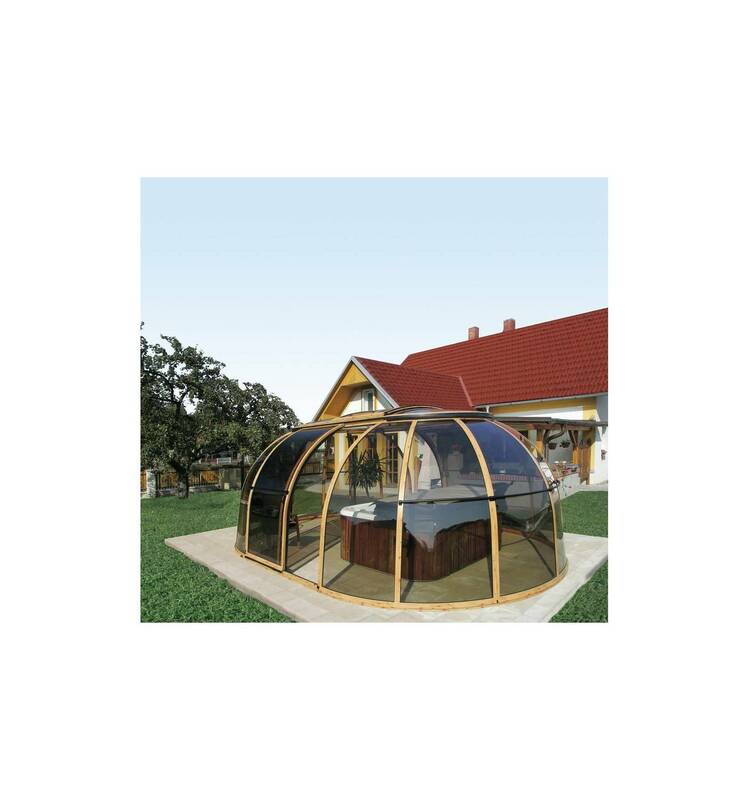 It is larger than the SPA Sunhouse, a 1-4 sliding lockable door. 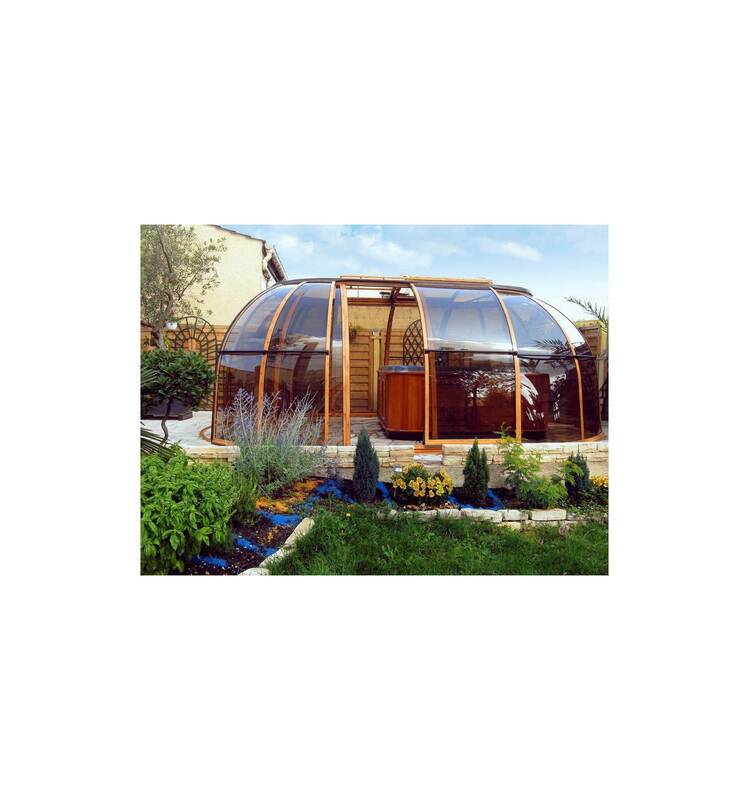 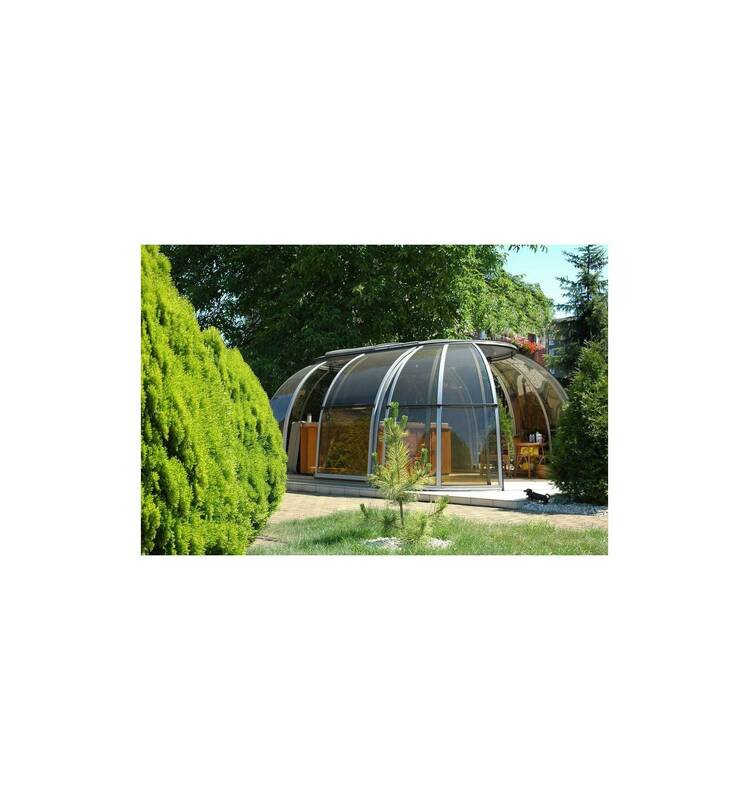 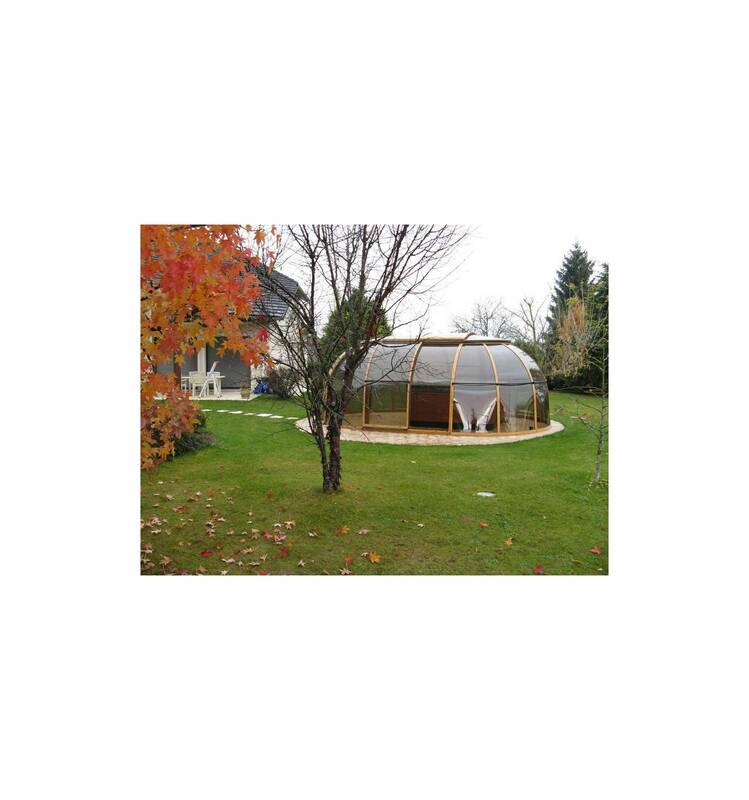 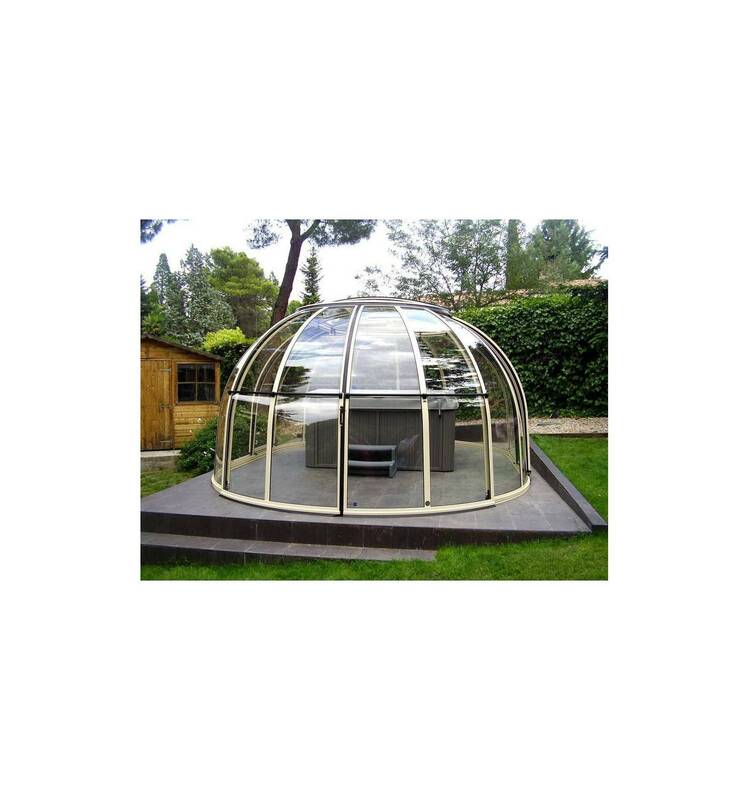 The model consists of three parts: two semi-domes like the halved SPA DOME ORLANDO a standard segment of pool enclosure with side sliding doors. 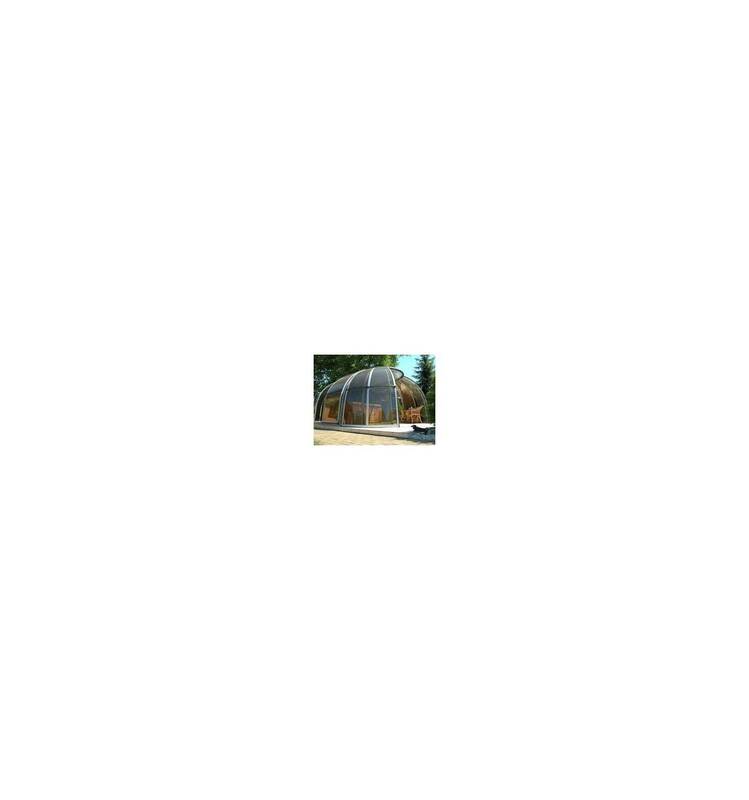 One of the semi has a wide opening. 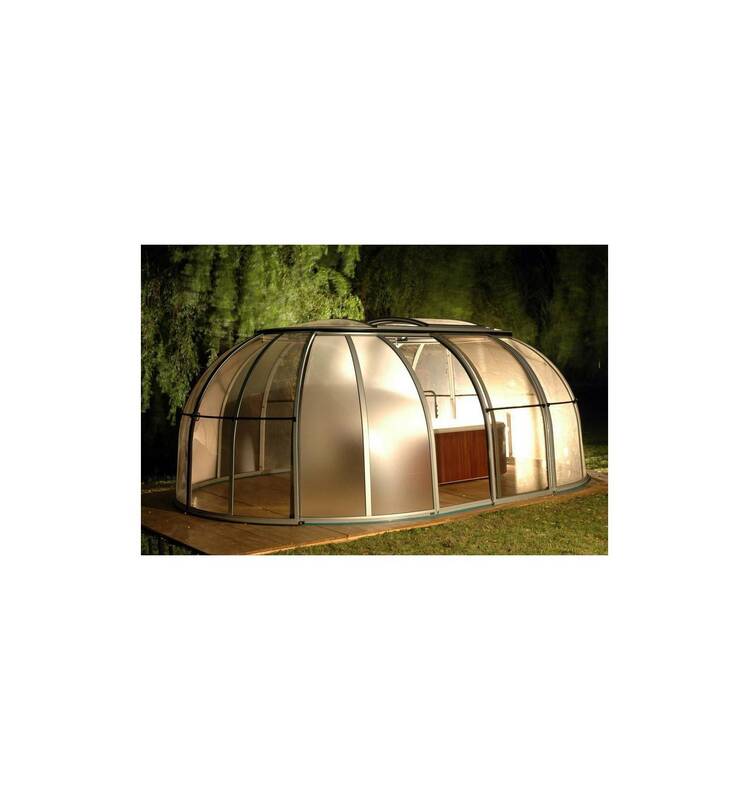 Additionally, the possibility to perform another sliding door in the second semi-domes and in the side wall. 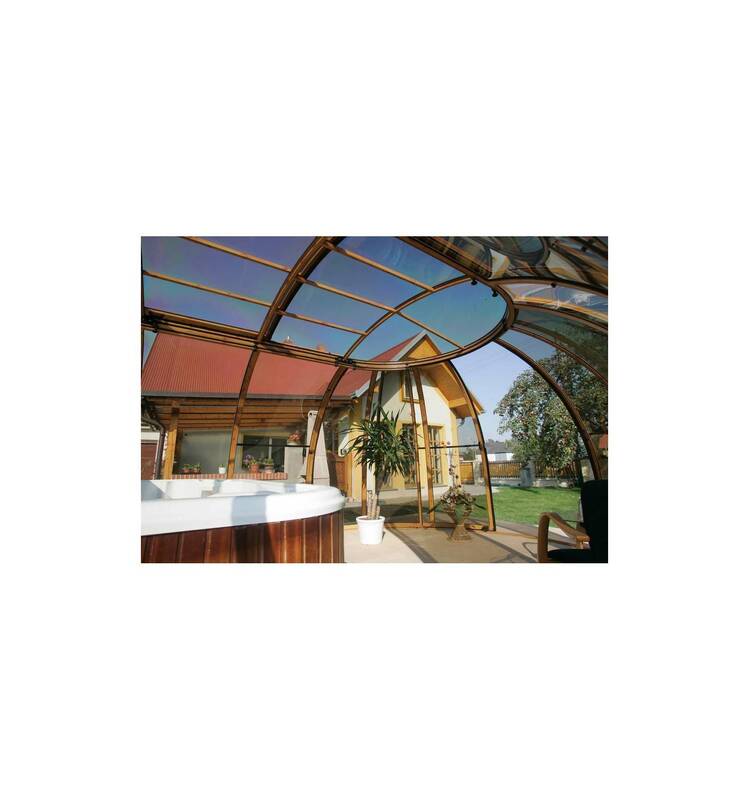 Version with bronze (smoked color) polycarbonate panels substantially reduces the effects of solar radiation shields sunlight to a pleasant level, helping to maintain comfortable indoor temperature. 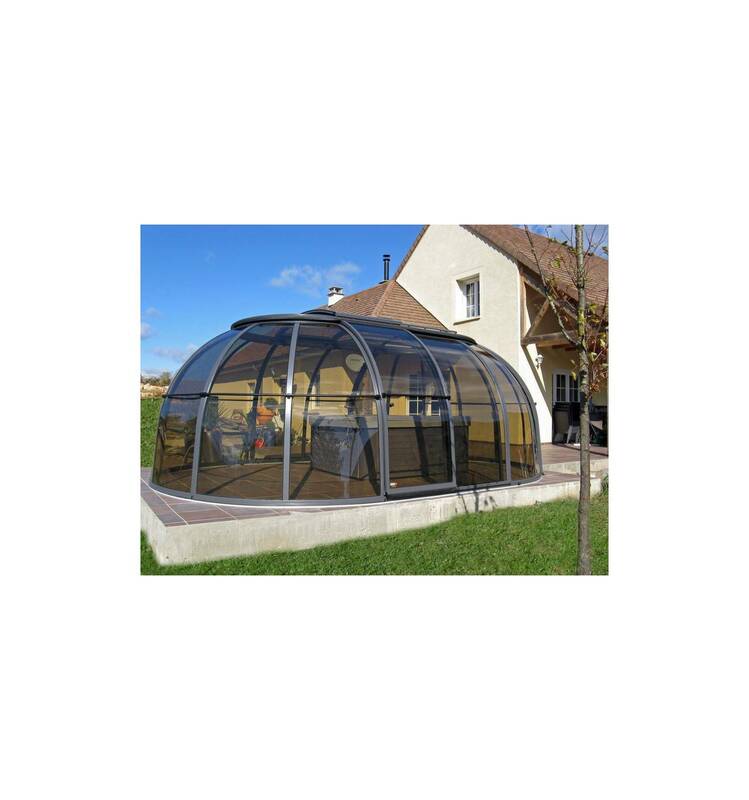 Improved design features simplify installation of the system. 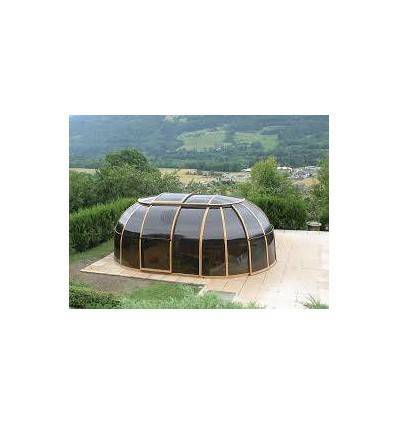 This roofing whirlpool consists of the peripheral parts, door parts and canopy. 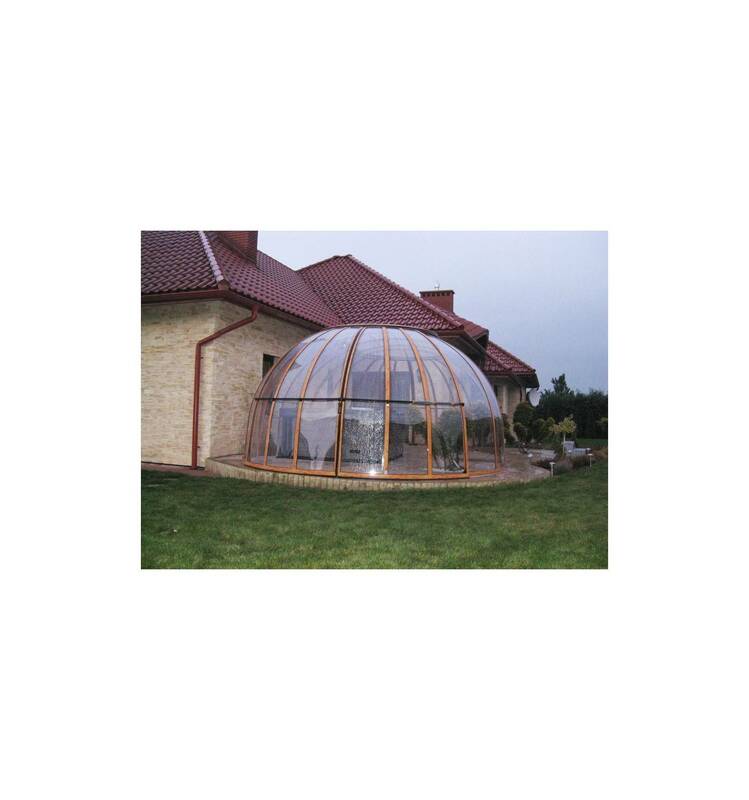 The dome is mounted on a circular rail permitting rotary movement of 360 ° in both directions. 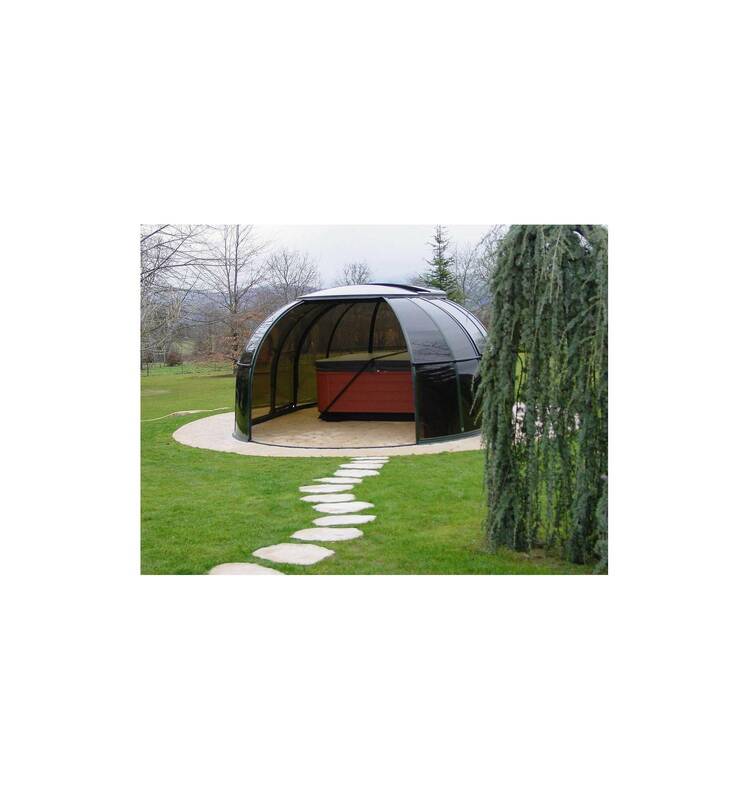 * This model is easy to mount, which is based anchor taxiway solid foundation, which is as concrete or ceramic tiles. 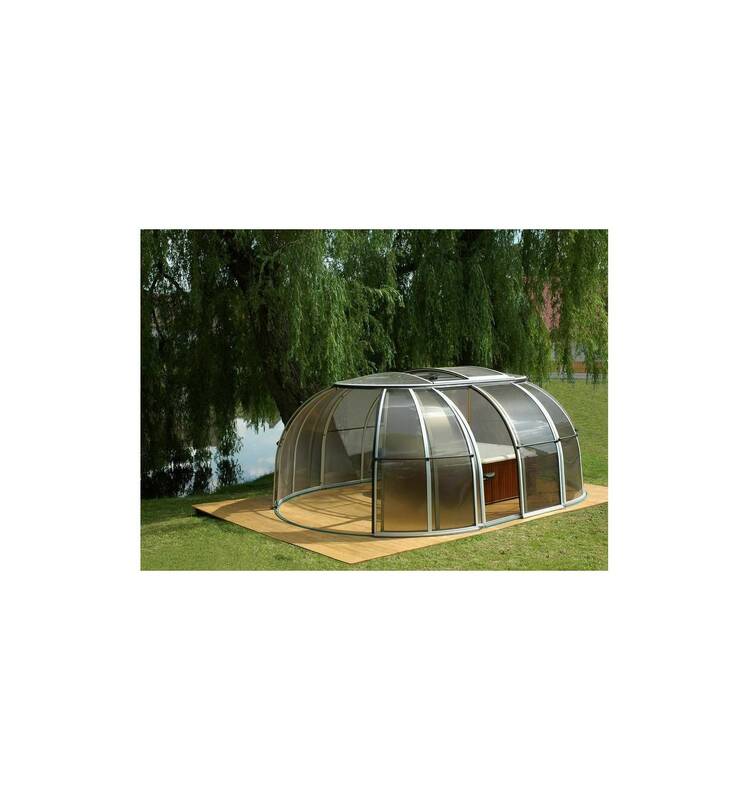 Roofing comes in two variants - small (4 m internal width) and large (5 m external width).